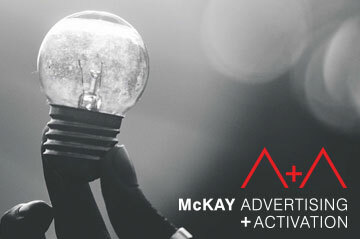 Every Thursday we look at the trends/updates/interesting articles found in the Marketing + Advertising + Tech industry. Each submission is presented by a different MA+A employee and covers various topics applicable to our business. The following are professional opinions, summaries or both. This week we’ll look at: Google’s Plan To Takeover Connected TV, The ‘Boycott Facebook Campaign, Instagram Founder Leaving FB: Consumer POV, The Amazon Takeover & Email Marketing Tips. New TV Screens Category To Reach YouTube Users on Connected TV See the article here. Google is making it easier for advertisers to purchase valuable OTT and CTV spots, by having placements for YouTube viewers watching on their Sling, Roku, or Fire Stick. Google has previously not tapped into this market, allowing for companies such as Adobe to take a large piece of the pie. It will be interesting to see how this plays out as Google aims to take over another area of digital advertising. Financial Times is launching a large-scale campaign that will totally shut out Facebook from its ad dollars. This is in response to the wide change Facebook implemented to keep a public archive of all ads relating to issues of national importance or politics, which includes special policies and restrictions to those types of ads and advertisers. Financial Times isn’t alone in objecting; several publisher associations have also voiced their opposition to the change, arguing that it carelessly obscures the line between true journalism and political advocacy. The way Facebook works now is certainly detrimental to publishers; as an agency, we have a publisher client that covers political news! There is an issue when having the same exact flagging system and notice applied to a clear advocacy campaign on behalf of a candidate or issue, is ALSO applied to simply a neutral news story covering a political event. However, Facebook did think ahead with this move. The reality is, if they try to draw a line between “neutral” coverage of an event and advocacy for a side, they know further down the road there will be a larger problem. Who will be deemed as “reliable neutral” news and which gets flagged as “partisan political advocacy”? If that distinction was made, wouldn’t Breitbart claim they’re the former? Then how does Facebook decide which publications are on which side of the line? Just something to consider when keeping up with Facebook changes in policy. These are more complicated and sensitive matters than they may appear, because Facebook not only has to make decisions based on the now, but also based on potential future implications. Instagram CEO and founder, Kevin Systrom along with Mike Kreiger CTO have left Facebook after 6 years with no explanation. The terms of the FB purchase of IG were that autonomy would be given to them as they continued to innovate IG. That will obviously no longer be happening. Personal concern from me is IG and FB becoming the same version of each other. In situations where a company purchases another company, grants it independence, then negates independence, an interesting thing happens. The management from the purchasing company, through ego, begins to exert their will upon the other company and product. It then becomes a ‘B version’ of their product. Hope not! Amazon Gives Freebies To Boost It’s Products the article here. When I take off my marketer hat and put on my consumer, it always seemed a bit fishy that Amazon-branded products are always reviewed so highly. Bezos is known for being customer-centric, so I never really thought more about it. Reading into here, it appears Amazon wants to be everything: logistics, manufacturing, marketing, and now…. reviewer? Bad taste if you ask me. Nothing Matter More Than Your Subject Line the article here. Emails oh Emails. Sighhh… Did you know that on average a person receives between 120-130 emails per day! How do we as marketers breakthrough, not only the email clutter, but the clutter of everyday life when we are bombarded with copy in every direction we look? This article offers a few tips to point you in the right direction Step 1: Just be real, no need to be a smartass. Check out the rest. We hope you enjoyed these snippets of information that we chose to share. Look out for the upcoming #ThursdayThoughts post. (Yes, it’ll be on Thursday). See our previous post here.